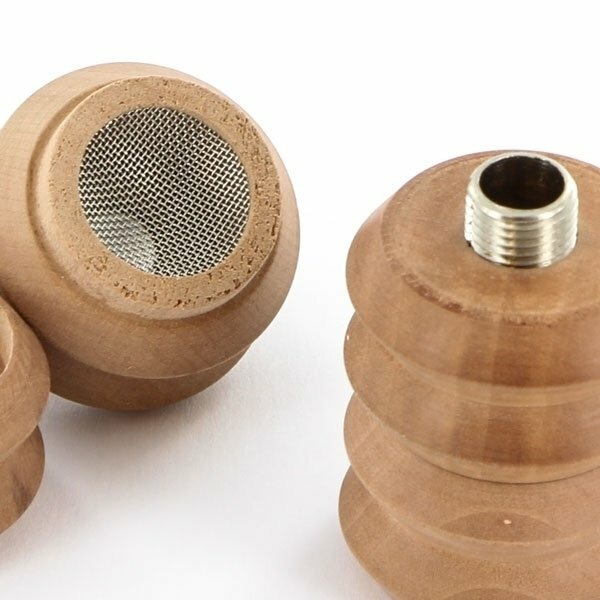 The "Turn On" bowl by Actitube is a two-piece bowl made from high quality wood. 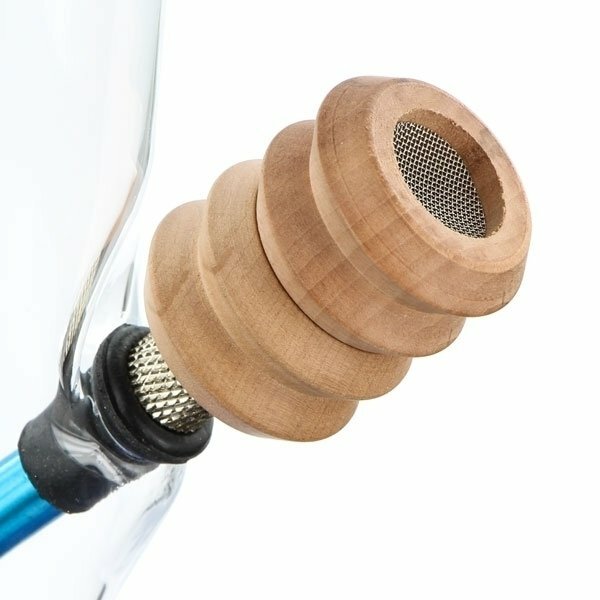 It fits every bong with a standard size thread and has an extra chamber for activated carbon pellets to provide a very smooth and pleasant smoking experience. 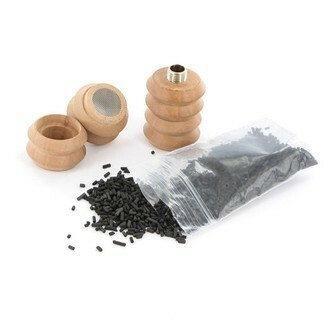 One filling of activated carbon pellets lasts for about 20 smokes, depending on amount and composition of the smoked blend.